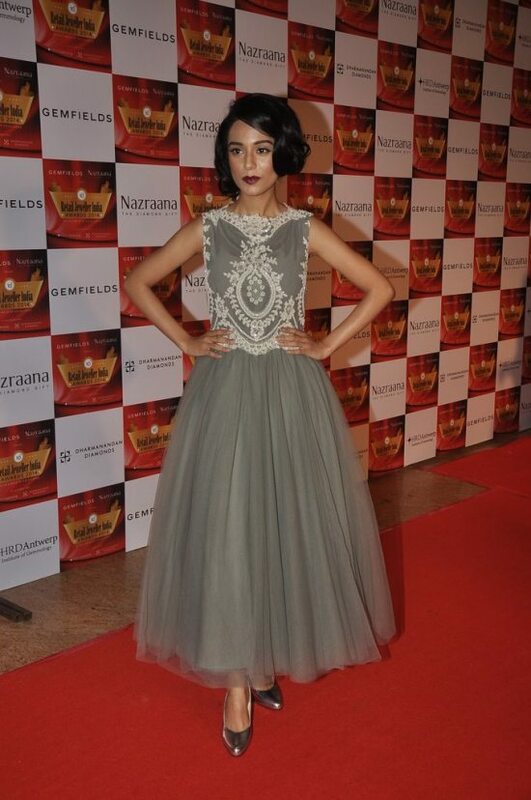 Bollywood divas, Amrita Rao, Yami Gautam, Lisa Ray and Gul Panag attended the 10th Annual Gemfields and Nazraana Retail Jewellers India Awards held in Mumbai, on July 20, 2014. 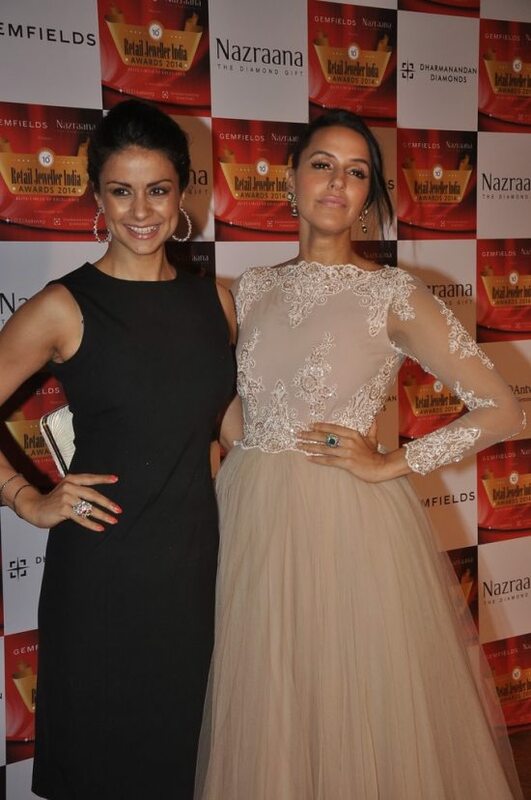 The event was also attended by actresses Tara Sharma, Neha Dhupia and Elli Avram. Elli, during the event interacted with the media said that she is loving the jewellery that she is wearing and that she loves to wear Indian clothes since she feels that they are better than western clothes. The actress looked pretty in a red and grey lehenga with matching jewellery while Yami appeared in a purple gown. Amrita too stunned at the event in a grey and white outfit.